For the 1967-1968 season, ABC used the slogan “A Very Special Season” and distinctive kaleidoscopic imagery to promote its new and returning programs. 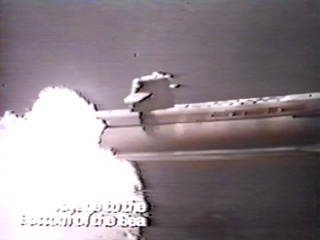 Here’s a promotional spot for Voyage to the Bottom of the Sea from the 1967-1968 season, featuring the kaleidoscopic imagery and the related slogan “A Very Special Night.” New programs premiering on ABC during the 1967-1968 season included N.Y.P.D., Cowboy in Africa, Good Company, The Flying Nun, Off To See the Wizard and Judd, for the Defense. Due to Labor Day, ABC kicked off its premiere week on Tuesday, September 5th. This is a brief version of a longer Sunday night “A Very Special Season” promo [Gary Owens, announcer] seen during the late summer of ’67; instead of showing scenes from all of the shows scheduled for that evening, this one used just the “VOYAGE” portion.